Things were looking good for Eveliina Salonen before teeing off on hole 16 during the final round of the Konopiště Open. However, when Henna Blomroos banged in a tester-range birdie putt while Salonen had to settle for par, there suddenly seemed like there might be a few dark clouds on the horizon for her despite the day’s perfect sunny weather. With the OB-riddled, dangerously sloping hole 17 and the birdie-or-die 18 left to play, Salonen had just a two-stroke cushion. But before that, Blomroos put herself in contention — back to within three strokes — with a strong third round on Saturday. Perhaps due to some of that momentum carrying over for Blomroos, through the front nine in the final round Salonen wasn’t able to shake her. After two-thirds of the round, with just six holes left to play, Blomroos made her move on the lead. She tossed her drive inside the circle on hole 13, and she grabbed a much-needed birdie. She repeated that on the much longer par 4 15th, taking another stroke back. Blomroos grabbed a third birdie on the aforementioned 16th while Salonen held steady with pars through 17. Blomroos parred 17 as well, and she needed to play 18 perfectly and Salonen to make a mistake to force a playoff or win outright. Blomroos did everything she could short of acing the final frame, parking it for an easy birdie. Salonen, smartly, decided to lay-up from outside the circle after her drive to assure the win. In the end, it was Salonen who did just enough down the stretch to take a relatively comfortable one-stroke victory, as her 1-under par 267 topped Blomroos’ even-par 268 final total. 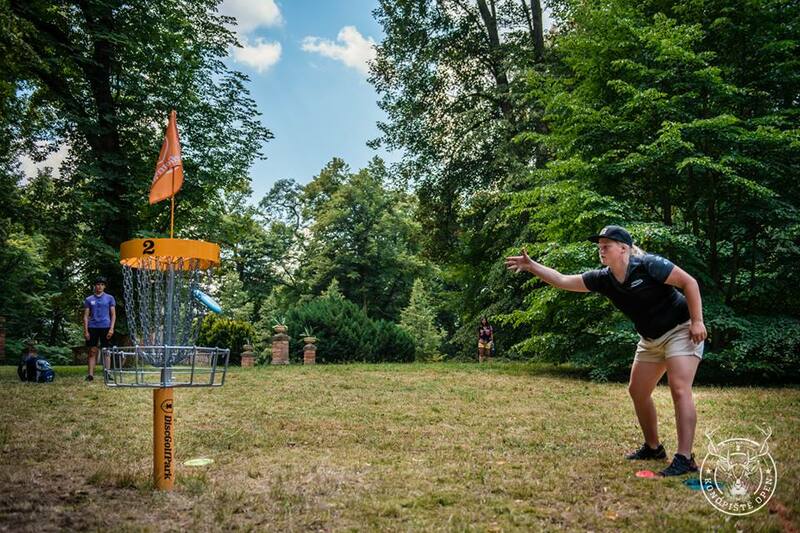 The win for Salonen is the first PDGA Major title of her young and promising career. It’s also the first professional PDGA Major won by any European, man or woman, since Birgitta Lagerholm won the 2010 Scandinavian Open. Catrina Allen took third, her score eight strokes back of the lead at 7-over par 275, finishing out the podium. 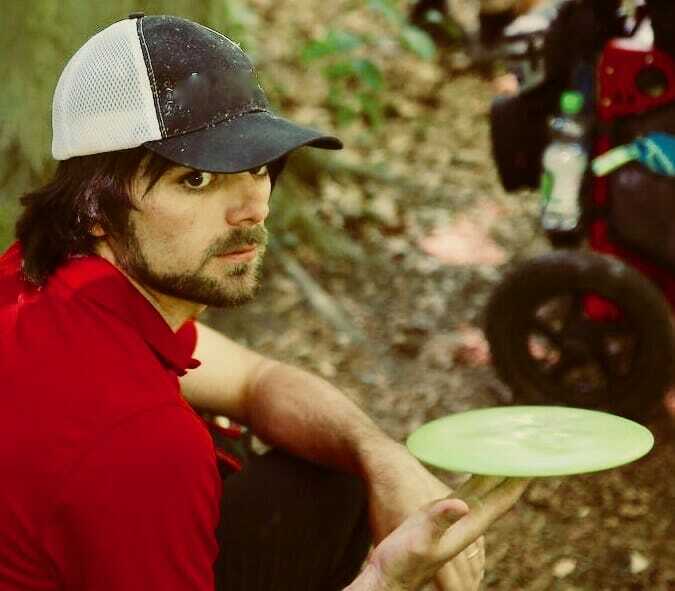 Allen was the clear favorite coming into the event, as the veteran pro and multiple PDGA Major winner, but she was bested for the second time in two weeks by Salonen. Estonian pro Kristin Tattar finished fourth at 16-over par 284. Salonen said she felt ‘very good’ today and that her driving was strong. I also asked her how it felt to take wins over the well-known Allen. “Well…great!” Salonen said, humbly smiling. She also said she never expected to take those wins with Allen in the field. Blomroos—who was the only Open Women player to throw two under-par rounds this week—was also pleased with her finish, and credited most of it with strong putting and driving on the back nine of her final round. The fourth-place finisher Tattar praised the quality of play she’s witnessed from Salonen and Blomroos over the course of the week. She did point out that both could use work on their putting. Tattar’s week didn’t go as well as it did in Skellefteå last weekend, but she’s already looking forward to next week’s EuroProTour event and PDGA A-Tier, The Open in Ale, Sweden. She’s mainly planning to work on being mentally present for every shot, citing a lack of focus during this tournament as a main reason for her disappointing finish. Allen reached 1-under par today—her first time in the negatives this week. But, really, her weekend was defined by her second round. That round she went 7-over par—a score that included a foot-fault penalty. Otherwise, she played consistently, scoring par and 1-over par in her other rounds. She is also registered for The Open, but Salonen will not be there for her to contend with. It should be interesting to see if she bounces back from this tournament to top the podium in Sweden. Comments on "Salonen Hangs On To Win First Career Major At Konopiště Open"